Today is a special Secret Recipe Club reveal featuring delicious fall treats and meals! I was assigned Nicole’s blog Crazed Mom. Nicole is a mom of 5 teenagers and loves cooking, diy projects, traveling, and planners! Sounds like she’s busy indeed! There were so many fantastic recipes to choose from, but I immediately zoned in on the drinks and came across a pumpkin pie coffee milkshake! It’s like all of my favorite words in one recipe title! And it totally tasted like I was drinking pumpkin pie! So delicious! Place the ice creams, milk, pumpkin, and spices into a blender. Blend until smooth. Divide into 2 large glasses or mason jars. Garnish with whipped cream and additional cinnamon and serve. These milkshakes look super delicious Amy. 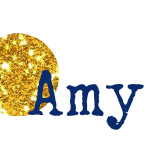 I loved exploring your blog for this reveal day and I think this is the perfect recipe for your already extensive pumpkin repertoire. Wonderful SRC post. Intriguing. This sounds like something I'd love to indulge in, when it's hot outside. OH, wait a minute, it's still hot here. I just wonder if I can get away with serving this for Thanksgiving? 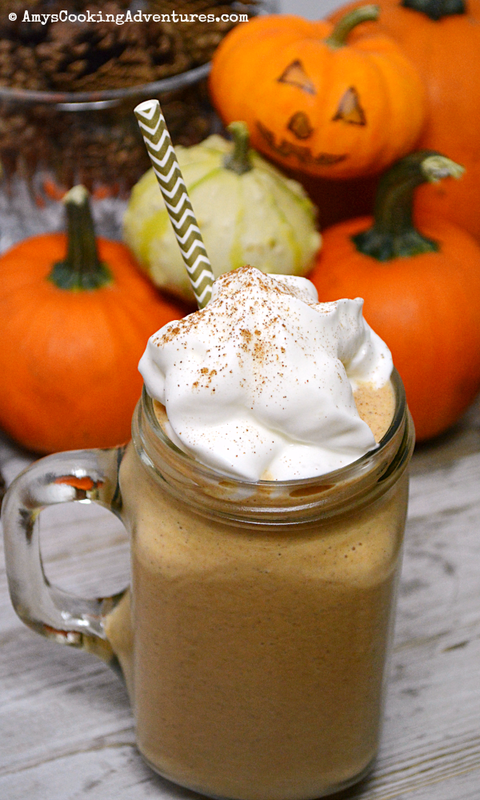 Great idea to put pumpkin in a milk shake, totally adds bulk and tasty flavor! Great SRC pick! this sounds awesome!! pumpkin + coffee + ice cream... how could you go wrong?? The looks pretty fantastic! Great SRC pick! Yes! All things pumpkin please!! This looks like such a tasty treat. Yes, please. I will take one of these any time of year. Yum! I have some leftover pumpkin from my recipe and I know what I'm making! 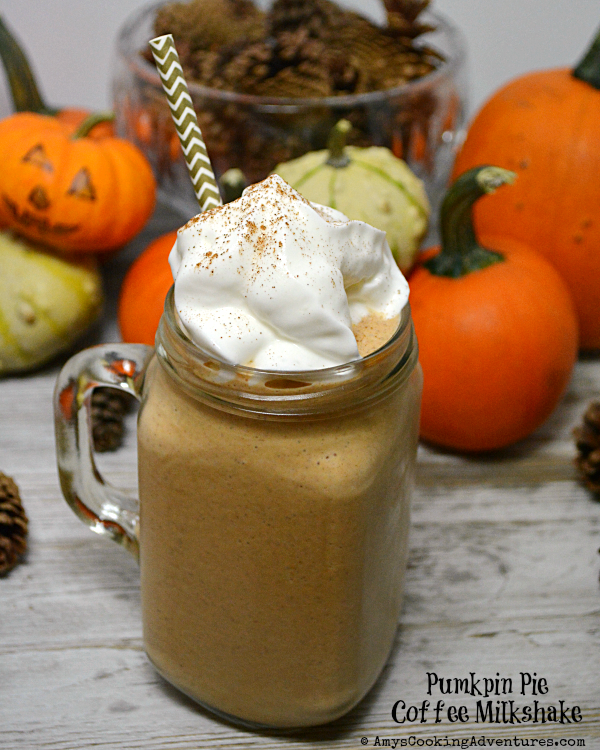 Wow, I love a lot of cream in my coffee, and with the pumpkin added... this would be the perfect drink for me!